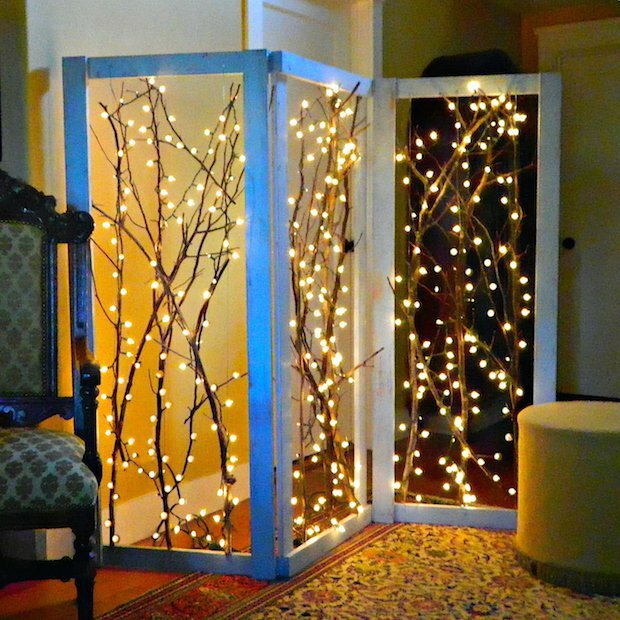 Add some magic to your home decor with this lovely twinkling branches room divider with this fantastic new video tutorial from Mark Montano! This would also make an amazing headboard! This would be a perfect backdrop for a holiday display or a great way to distinguish between party and non-party areas of your home during holiday gatherings.